Get your HP Touchpad back on track! HP Touchpad not working? This could be very frustrating, especially when you know that you haven’t done anything that causes the problem. But don’t panic! This is a common issue and you can fix HP touchpad not working quickly and easily! 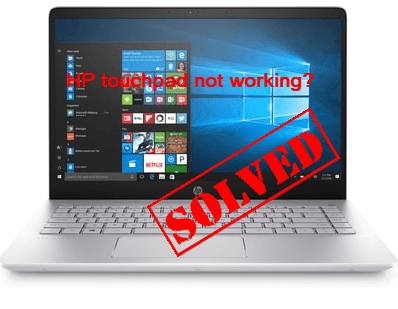 Here are the solutions you can try to fix HP laptop Touchpad not working. You don’t need to try them all; just work your way down until your problem is solved. There is generally a dot at the upper left corner on the Touchpad pane, so you can double tap the dot on the upper left to enable the HP Touchpad. 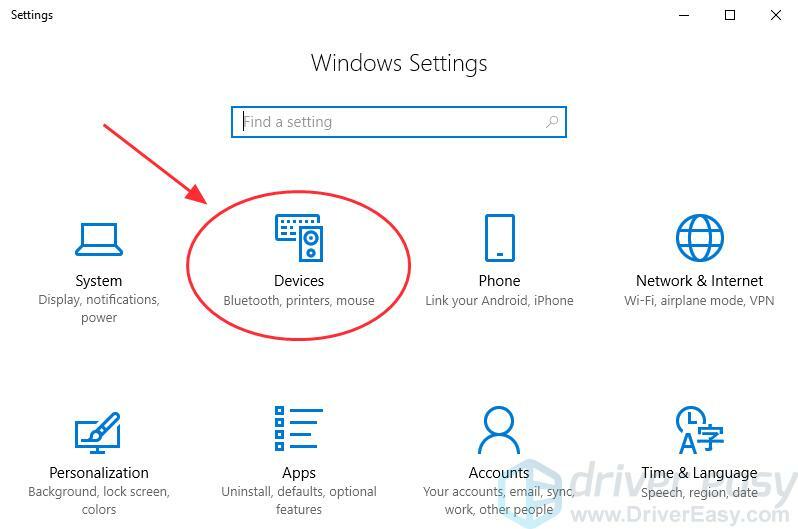 Note: The screenshots below are from Windows 10, but the fixes apply to Windows 8 & 7. 1) On your keyboard, press the Windows logo key and X at the same time. 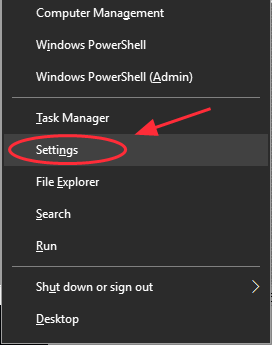 2) Click Settings in the popup menu. 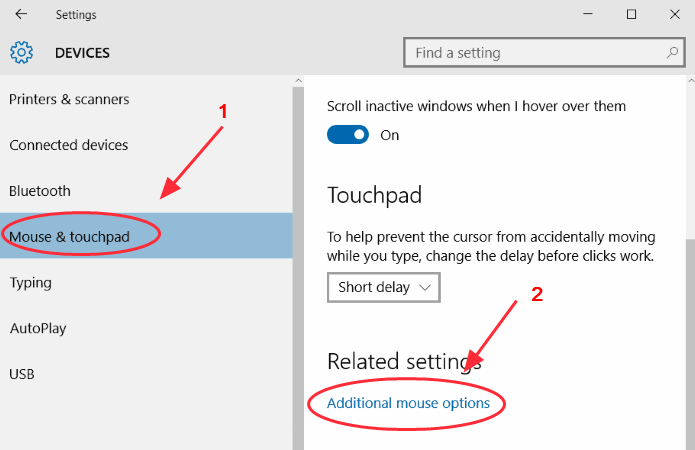 4) Click Mouse and touchpad, and click Additional mouse options. 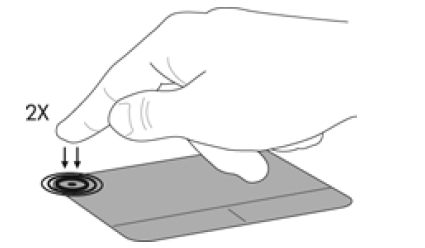 5) Select the Touchpad tab (or Hardware tab or Device settings tab), and make sure your Touchpad is enabled. 6) Reboot your laptop and try your Touchpad. 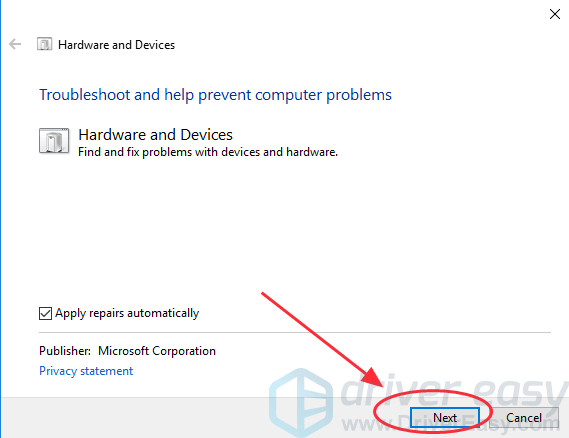 The missing or outdated Touchpad driver can cause your laptop touchpad not working issue, so you can update your Touchpad driver to fix the issue. 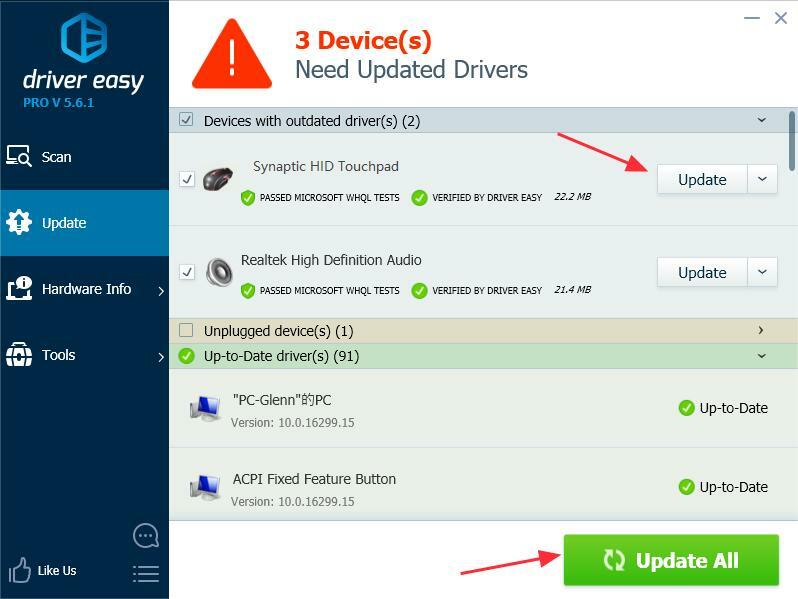 There are two ways to update the Touchpad driver: manually and automatically. 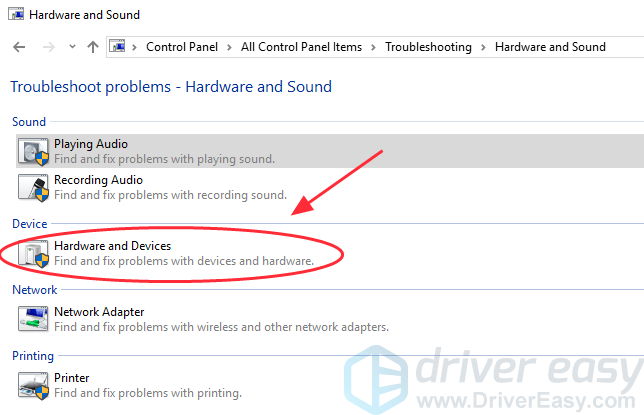 Manually update the Touchpad driver – You can update the touchpad driver by searching the driver from the manufacturer, then download and install the driver into your computer. Ensure to download the driver that is compatible with your Windows OS. This requires time and computer skills. 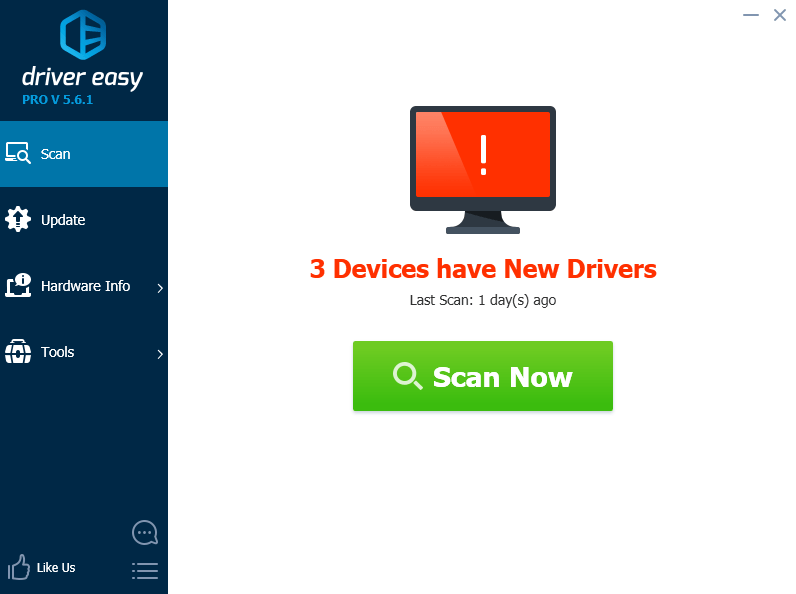 Automatically update the Touchpad driver – If you are not familiar with playing around with drivers, you can do it automatically with Driver Easy. 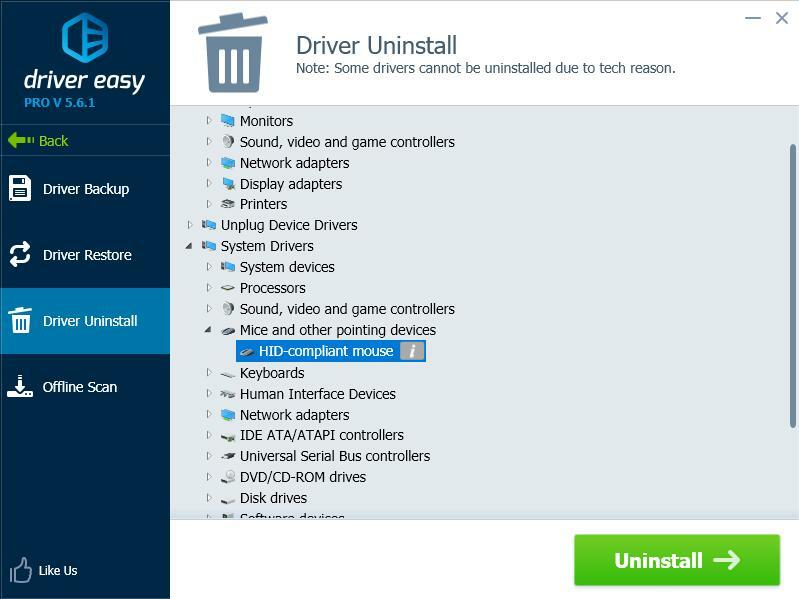 Driver Easy will automatically recognize your Windows system and find the correct driver for your video adapter. You don’t need to risk downloading the wrong Touchpad driver. 3) Click the Update button next to the flagged Touchpad device name to automatically download the correct version of the driver (you can do this with the FREE version), then install it in your computer. 4) Restart your laptop and try your Touchpad. 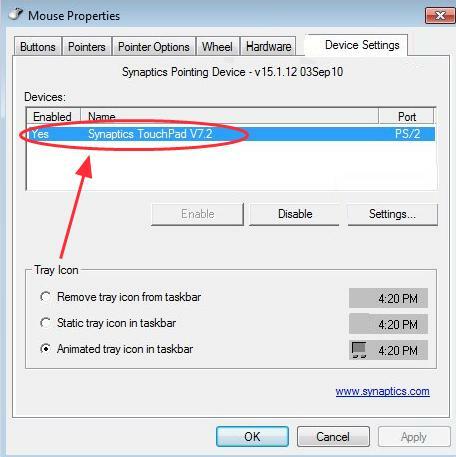 Note: You can also try to uninstall and reinstall the Touchpad driver with Driver Easy (Pro version required). This is useful especially when you are trying to remove any driver causing troubles and reinstall it. If your touchpad issue still persists, don’t worry. There’s something else to try. 1) Open Control Panel in your laptop, and click Troubleshooting. 3) Click Hardware and device. 4) Click Next, then wait for the troubleshooting process to finish. 5) Follow the on-screen wizard to automatically fix the detected issues. These’re the effective solutions to fix HP Touchpad not working. Which methods helps you through? If you have any questions, feel free to comment below and we’ll see what more we can do to further help.